Government Jobs have always attracted the attention of youth of our country and Uttarakhand state too. Major government service selection boards and authorities like UKPSC, USSSB, UBTER etc update job advertisements in Group A, B & C posts all round the year. 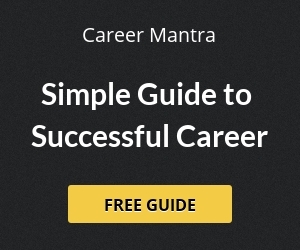 With undoubtedly high applications and tough competition for each govt jobs, candidates have been preparing wholeheartedly for several years to crack screen examination and interviews. One reason to prepare for the govt screening exams is the extention of age limit which is 40 years now. There are also some posts in government deptt which are eligible upto 40 years. Rise in the maximum age to apply for government department posts in Uttarakhand has a lot of benefits for the aspirants as well as beaurocracy. Aspirants will get more time to prepare for screening exams. More experienced candidates will join government sector. After Jan 2014, the aspiring government job youth of Uttarakhand state had a reason to smile. There is increase in the minimum age for applying for various government sector posts as per new rule. 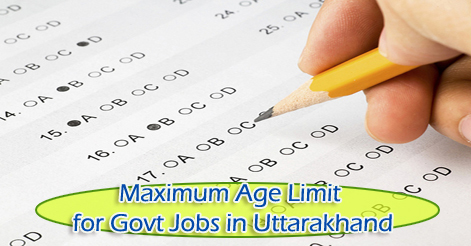 The state government of the Uttarakhand elevated the age limit from 35 to 40 yeras for goverment jobs. Now the aspirants can take several attempts to reach their goal for getting placed at a govt sector. Earlier minimum age was 35 for general and 40 years for reserved category. Once Nainital High Court also tried to reduce the maximum age limit for direct recruitment in government jobs in the state from 40 to 35 years. But due to steer rise in unemployment among the youth of the state, govt decided to raise the maximum age for Govt Jobs in Uttarakhand. Note : Almost all govt jobs in Uttarakhand have kept the maximum age limit to 40 years, but in several departments the age limit may vary due to physical and experienced requirement of the candidature. So one can see the differences in advertisements published by Govt Departments. Help us to improve this article/job posting "Maximum Age Limit for Govt Jobs in Uttarakhand". We would be glad if you can comment below and provide your valuable suggestions and feedback. If this page have any wrong information/list or out of context content, then you can report us as well. What is age limit in gov job in uttarakhand general and sc for women. Sir. My age is 40 yrs..having a 12 year banking experiance in reputed organization ..can i get a gov job in banking..in uttranchal.? i am M.Sc. botany & B,Ed.What is age limit in gov job in uttarakhand general for women. I m graduate with c b z n also clear u ret 2 nd paper date of birth is 19/11/76.will eligible for teaching job In uttrakhand n how I will apply.also registered in employment office. I want to know the maximum age limit in govt jobs.or any department where maximum age is up to 45 yes.